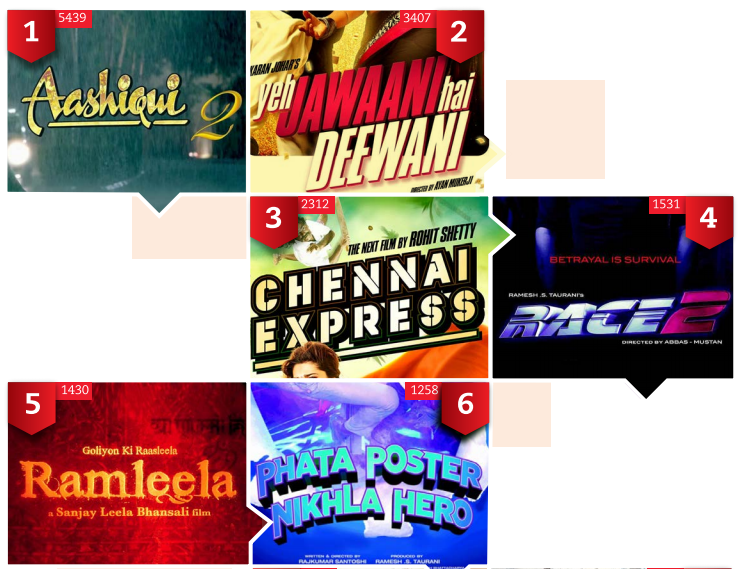 Ormax Media has released 'The Ormax Cinematix 2013 Report' based on syndicated Bollywood research conducted by Ormax Media in 2013. 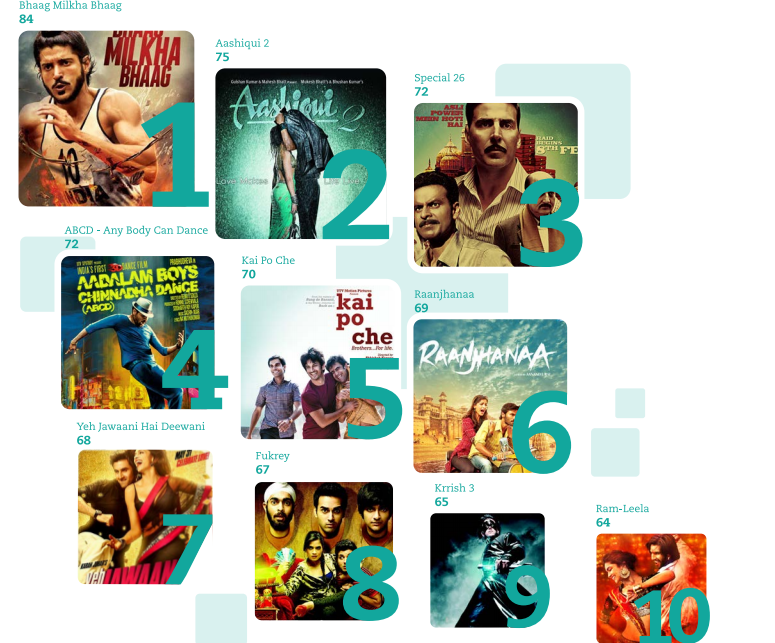 It is based on a survey in 29 cities of India, covering a monthly sample size of 4,300 cine-goers. Based on the WOM (Word Of Mouth) data collected for each film for four weeks from the date of it's release. The WOM score of each film represents % audience of that film who are likely to recommend the film to their family and friends. 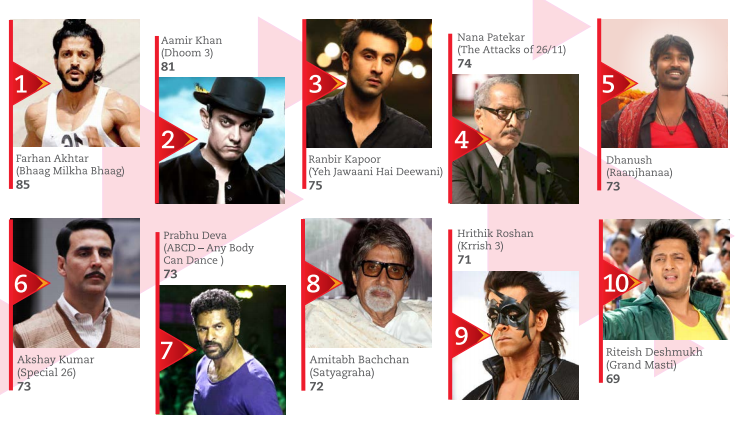 Most liked male performances of the year based on performance likeability data (in %) collected amongst theatre audience for a period of four weeks for each film. Most liked female performances of the year based on performance likeability data (in %) collected amongst theatre audience for a period of four weeks for each film. Based on Ormax Stars India Loves conducted round-the-year in 29 cities. The score represents the popularity of each star, i.e., % cine-goers who name the star as one of their two most favorite male stars. Based on growth in the Ormax Stars India Loves score in 2013 vs 2012. 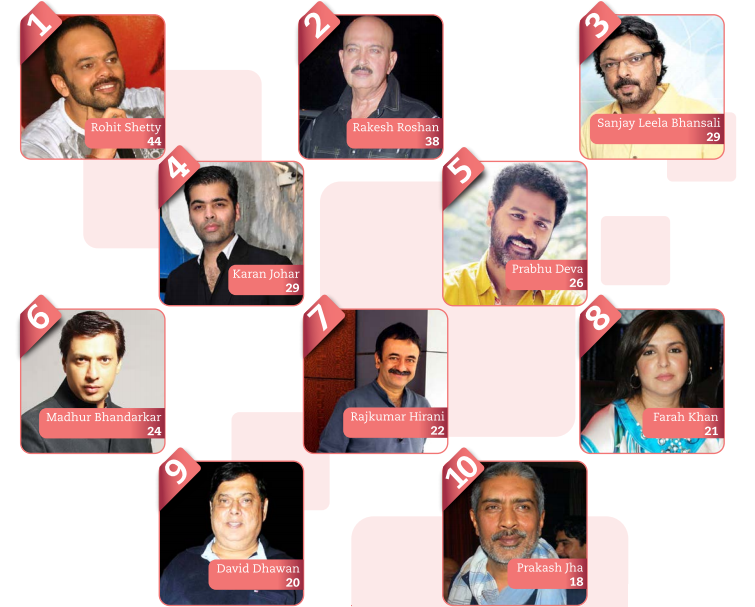 Based on Ormax Stars India Loves conducted round-the-year in 29 cities. The score represents the popularity of each star, i.e., % cine-goers who name the star as one of their two most favorite female stars. 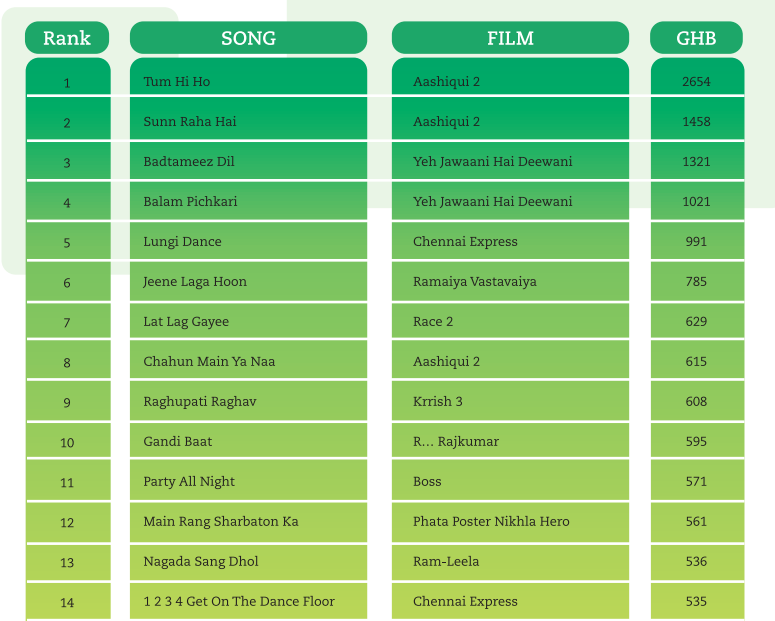 Based on Ormax Heartbeats, which tracks the popularity of Bollywood songs every week based on recall and likeability. The GHB (Gross Heartbeats) score of each song is ts cumulative score on Ormax Heartbeats over its lifetime. Based on the sum of the GHB (Gross Heartbeats) score of all the songs in an album. Based on Director's Equity Survey conducted across 29 cities in May and December 2013. The score of each director is based on a combination of three parameters - Name awareness, Work awareness and Apeal.